Experience a culture 20,000 years in the making. Let Down Under Endeavours take you past the kitsch on a authentic and memorable heritage and culture vacation. 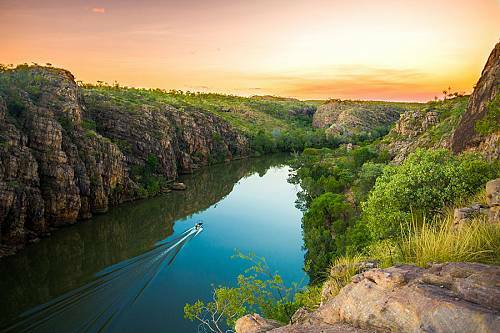 Voyage deep into Kakadu National Park to see the world’s oldest paintings at Nouralangie rock. Sit down for kava with a Fijian tribal king or drink home-made beer with a Zulu witch-doctor. 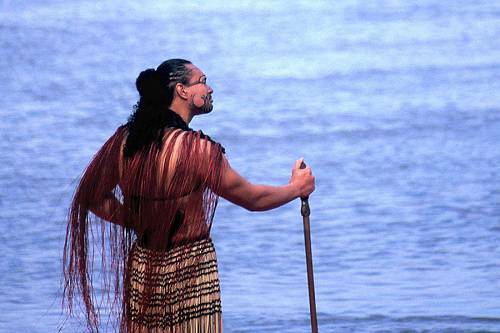 Meet modern Maori carvers applying ancient techniques to contemporary topics. Stand quiet and humbled in the prison cell that once held Nelson Mandela. Journey to a local vanilla farm in Taha’a to learn about how 95% of the world’s vanilla is made. Travel to a local Masai village in Kenya to meet the children. 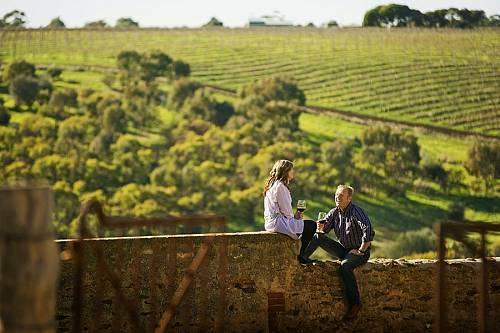 Down Under Endeavours handcrafts luxury vacations designed around your wants, needs, timeframe, and budget. To get a taste of what’s possible, check out these sample heritage and culture itineraries. Have a look, see what catches your eye, then chat to the Down Under team to custom-create your itinerary. Are you ready to explore Heritage and Culture? Give us a call today at (312) 951-8517 and let our luxury travel designers handcraft your dream vacation. 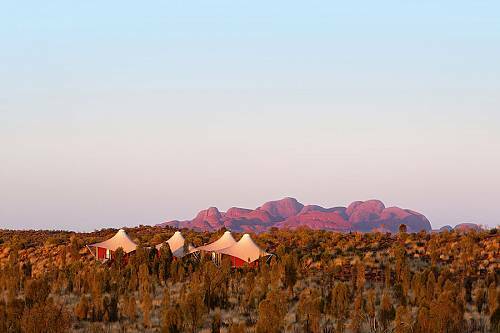 Unleash your wild side in the Australian Outback! 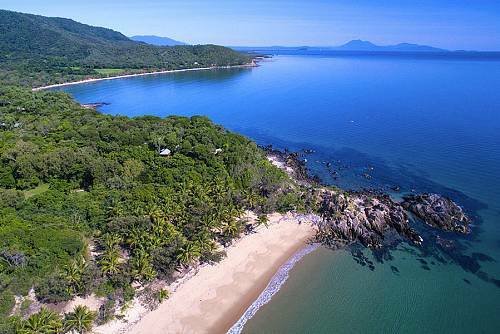 Discover the spiritual heart of Australia, spot wild crocodiles on a scenic cruise, tour on the back of a Harley Davidson, and much more. 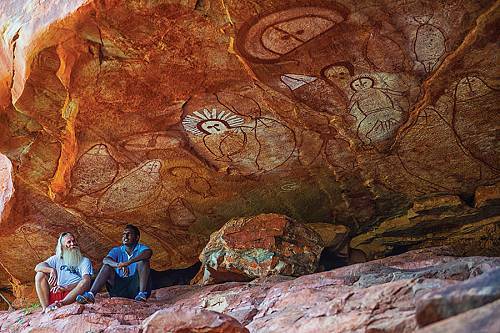 Experience authentic Aboriginal culture in Australia’s Northern Territory. 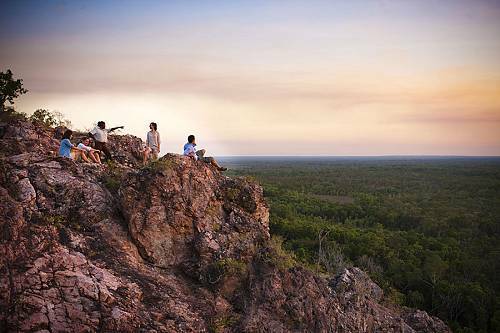 Step back in time in Arnhem Land, view ancient rock art, and discover the sacred magic of Ayers Rock. 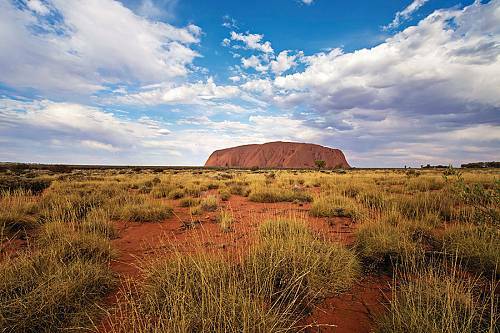 Travel by private aircraft to some of the remote regions of outback Australia. See the Mary River Wetlands teeming with wildlife, meet the locals on the remote Tiwi Islands, explore a half-million-acre cattle ranch, fly over breathtaking Kimberley waterfalls, and much more.